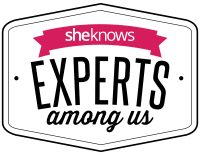 How to Throw the Ultimate Princess and Superhero Party for Girls! 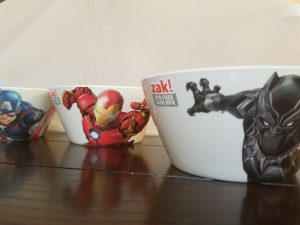 Whether you are planning a birthday party for your kids or a superhero party to go with your next movie night, throwing an awesome party for your kids can be challenging. Ever since we went to see Black Panther in theatres, my girls have not been able to stop talking about it! At long last, the BluRay release is finally here, and to celebrate; we’re talking about throwing ourselves a little princess and superhero party! If you ask my girls, they will tell you their newest favorite princess is Shuri, so this falls right in line that theme. These ideas would actually be great for a movie viewing party or a birthday party for your kids. Here is your how-to guide to throwing an awesome superhero party for your kids. 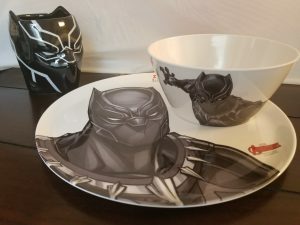 We were sent a bunch of really cool Black Panther and Superhero Swag from Disney and Zac Designs to add to our party and be sure to also check out this post for over 50 Marvel Superhero Toys and Decor to include as well! If you are throwing a superhero party, you may be overwhelmed by the number of choices available to you. 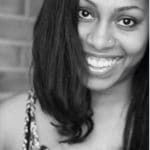 By limiting your focus to a few superheroes, you can keep the overwhelm to a minimum. Instead of including every superhero under the sun, consider focusing on just your children’s favorites. For example, Black Panther alone would be a great way of limiting your superheroes. You can also stick to only one movie to make it easier. It’s a themed party, so why not dress like it! Have your young superheroes dress up as their favorite superhero and even get the parents involved! 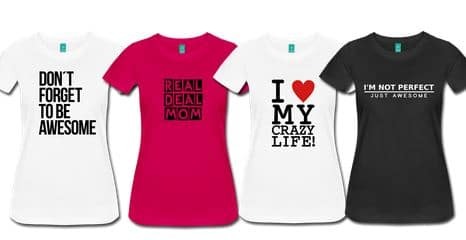 If you are having a viewing party, you could have the entire family dress up, or have your kids be the ones to dress up. 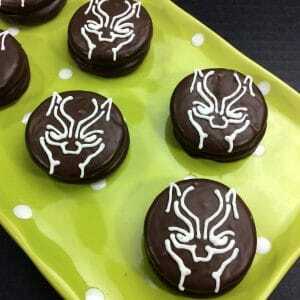 There are so many great recipes out there you can use for your superhero party! A quick search on Google or Pinterest will lend you thousands of different options no matter what superhero you are focusing on. 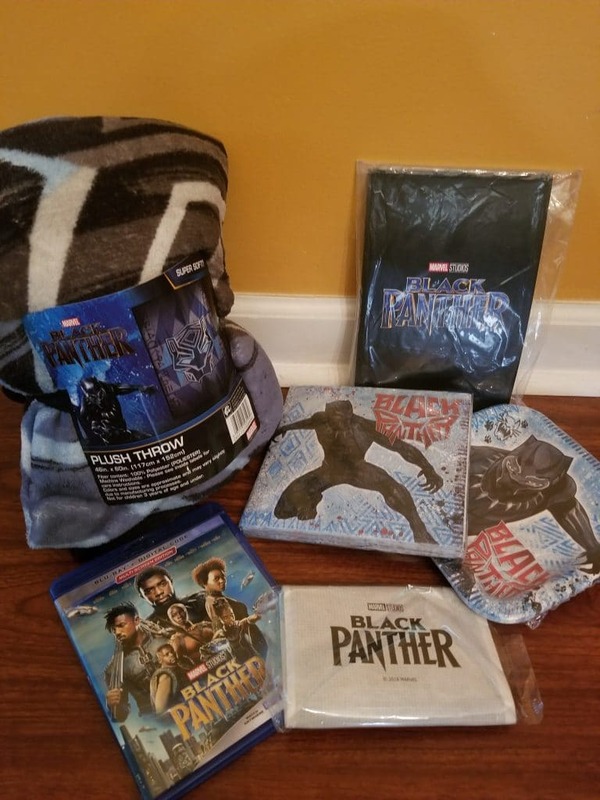 Since we are hosting a Black Panther superhero party, we tried to keep it simple yet fun! As you can see, you don’t need to spend a lot of money to create super food for your superhero party! Decorations will be the glue that holds your party together! You don’t have to go out and buy a bunch of decorative items you will likely never use again either! Once your child has decided on their superhero of choice, consider using colors to help decorate your space! Since we are throwing a Black Panther themed party, we chose black and gold. We found black lanterns to hang, a black tablecloth, and used blue as an accent piece to brighten up the tables. Marvel Studios’ “Black Panther,” is a global cultural phenomenon that has thrilled and inspired generations of moviegoers around the globe. “Black Panther” is the highly celebrated story of T’Challa (Chadwick Boseman), a young African prince who takes on the mantle of King and Super Hero. The film has dominated the box office charts emerging as the third biggest movie of all time domestically with over $665 million. Through the 4K Cinematic Universe Edition of “Black Panther,” fans will experience the exhilarating adventure in stunning 4K Ultra HD with next-generation high dynamic range (HDR) visuals and Dolby Atmos immersive audio. 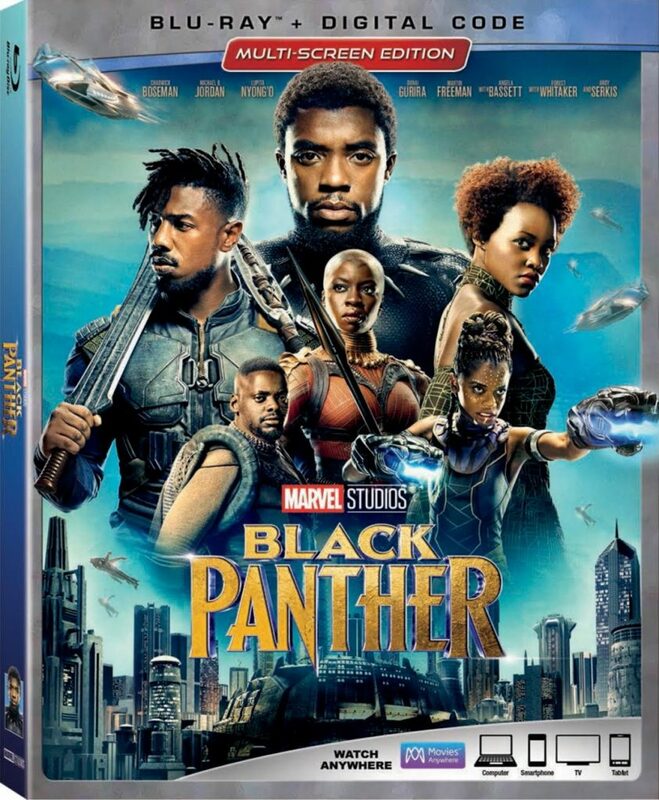 Disc extras include never-before-seen commentary from director Ryan Coogler; deleted scenes; outtakes; and several making-of featurettes, which detail the Black Panther’s evolution, the remarkable women of Wakanda, the history of T’Challa’s proud nation, and the cosmic origin and technological applications of vibranium. Also included are a roundtable discussion with “Black Panther” filmmakers and writers; a featurette tracing the countless connections between heroes, characters and storylines within the Marvel Cinematic Universe; and an exclusive sneak peek at “Ant-Man and the Wasp.” Fans can bring home the phenomenon, packed with light-hearted fun, pulse-pounding action and a powerful message, and watch it over and over again, Digitally in HD and 4K Ultra HD™ and Movies Anywhere on May 8 and on 4K Ultra HD™, Blu-ray™, DVD and On-Demand on May 15.